Creating original music is a difficult thing to do, just look at the droves of bands in metal giving it their all each and every release. Some proudly fly the flags of their influences on their sleeves while others go left field and try something a bit less traveled. Abduction are sort of in between and Une Ombre Regit Les Ombres is, if nothing else, an interesting nightmare scape of black metal, but let us dig deeper. After a brief clean guitar opener, twelve-minute track “Naphtalia” sets the pace for what is to come. 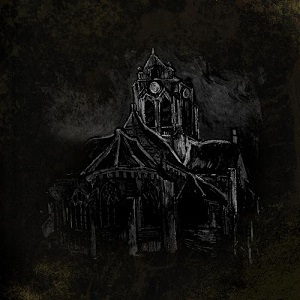 Creating heavy doses of semi-melodic black metal intertwined with clean, dare I hear it, folky strummed passages, Abduction give the feeling of dread and solitude within their real opener here and showcase a wide variety of weapons to include some very good clean vocal work toward the end of the track, courtesy of vocalist Le Morticole Francois Blanc. By the way, Abduction is from France, if you didn’t pick that up from the album title, etc. Abduction couple melancholic clean passages with guitar driven blasting madness, that gives the music a very interesting dynamic and keeps the pace of Une Ombre Regit Les Ombres continually moving, giving the album a proper climate of cool and warm moments that works well. “Les Frissons Des Cimes” amps up the more rocking element on the album, beginning like an older Arch Enemy number before fragmenting into a very Dissection-esque riff that continues to evolve and wander in a progressive style structure that showcases how intricate Abduction are when crafting their blackened pitch. My only complaint, and it seems small, is the song length. The average track length is between 9-12 minutes (opener aside). Abduction write great songs that do contain a lot of detail, but I find myself thinking if they had trimmed the edges just a bit more this album would have been all the deadlier for it. Even more surprising is this is Abduction’s first official full length album. There’s a ton of promise in Abduction and there’s a hell of a lot to enjoy on Une Ombre Regit Les Ombres.